I use to have all buttons stored in little clear boxes by color. But the minute I'd drop them on the floor and they'd fall every which way I decided that I was not OCD enough to keep something as yummy as a button sorted by color and size. 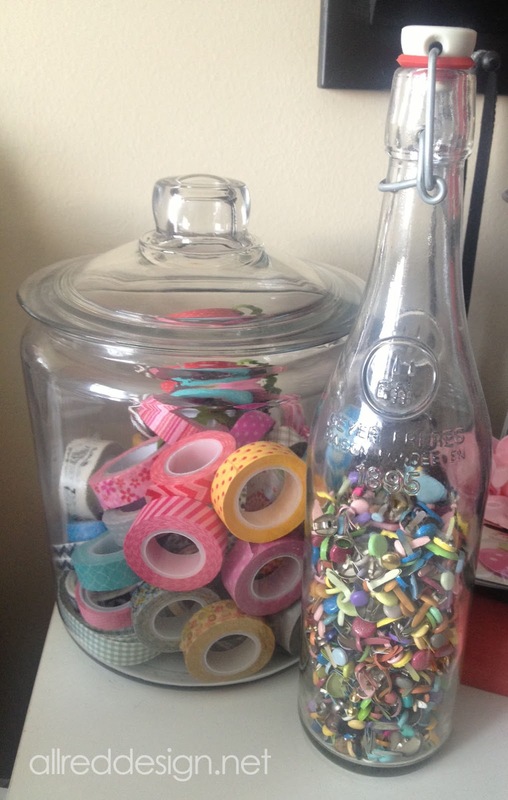 Therefore the jar was storage was what I have enjoyed the best. I LOVE digging through the jar looking for that perfect button. If I really have to get to the bottom of things I simply pull out a large bowl and start dumping the buttons out. 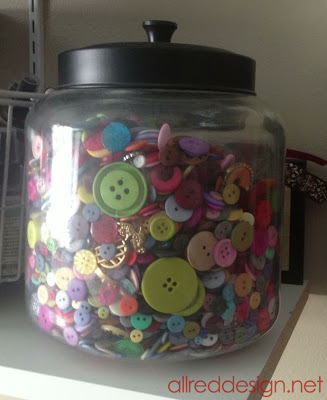 But trust me, I love keeping my jars stored this way and find it just as easy to locate that perfect button as when I had them all sorted. 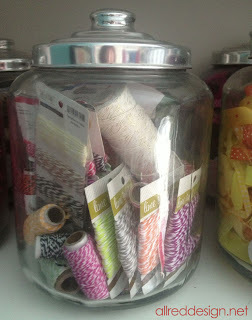 I received this yummy collection of threads from my friends at Pick Your Plum. And what better way to display them and store them then in a large quart mason jar. 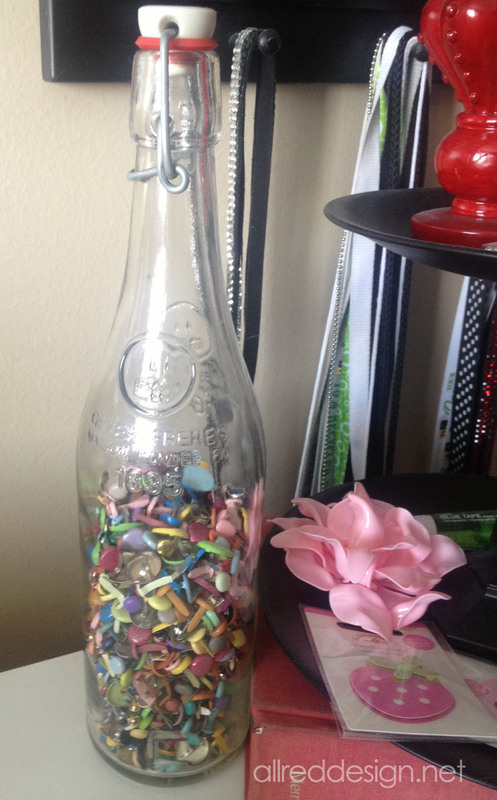 I even love that the lid doesn't fit and it looks adorable next to my sewing machine. I am addicted to twine and again if I cannot see the twine then I won't remember I have it. 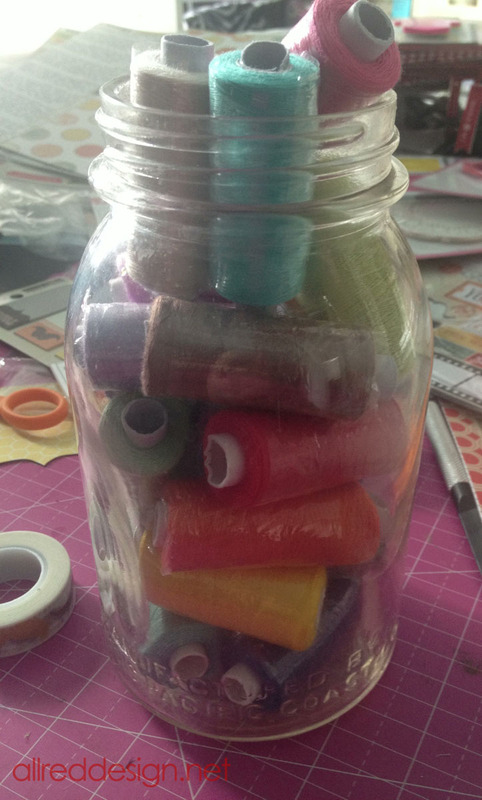 These large jars I picked up at Walmart for about $7.00 a jar and I have large spools, small spools and carded twine in here. LOVE IT! This photo below are two of my favorites. 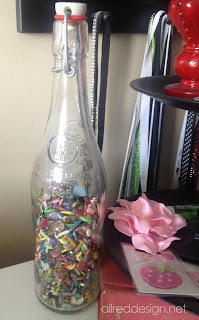 I have to admit the old fashioned bottle to the right I filled with brads doesn't get used a ton (simply because I don't use brads that much) but isn't it adorable filled with all those different sizes and colors of brads. And yes, I use to have them all sorted by size and color in a sortable container...so much happier with this and it takes up a LOT less space. And last but not least is my washi tape jar. 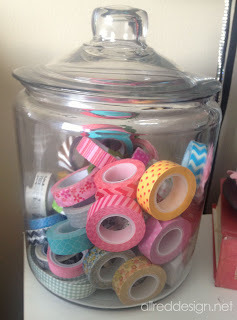 Can I just say I am as addicted to washi tape as any crafter is right now and I love that I can see all the yummy designs I've collected. I cannot wait for it to be too full (because you know I can do it). Here's a quick snap shot of my shelves with my flower, twine and ribbon jars on them. 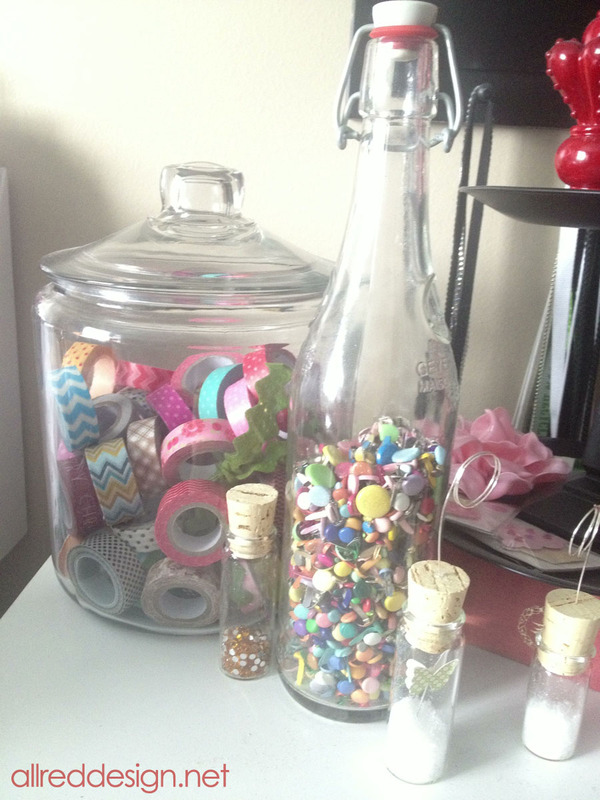 Aren't they a great way to store crafty stuff?? 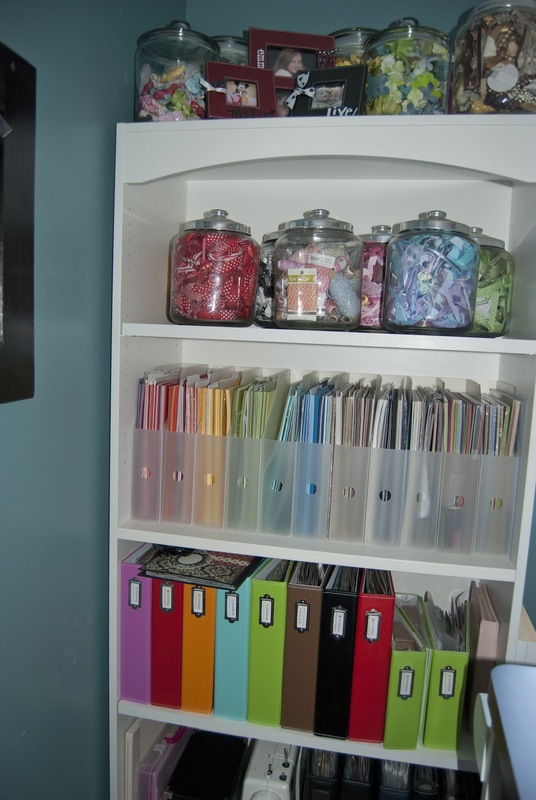 PIN any of these storage ideas you like! Thank you for entering the giveaway, I loved reading what everyone wrote about how they store things in their own creative spaces.